That resemblance helped the Hawaiians on Sutter’s payroll convince 35-local Indian villagers to join Sutter, as paid workers, not slaves. At the time of Sutter’s arrival in California, the territory had a population of only 1,000-Europeans, in contrast with 30,000-Native Americans. At the time, it was part of Mexico. Sutter employed Native Americans of the Miwok and Maidu tribes, Kanakas and Europeans at his compound, which he called Sutter’s Fort. 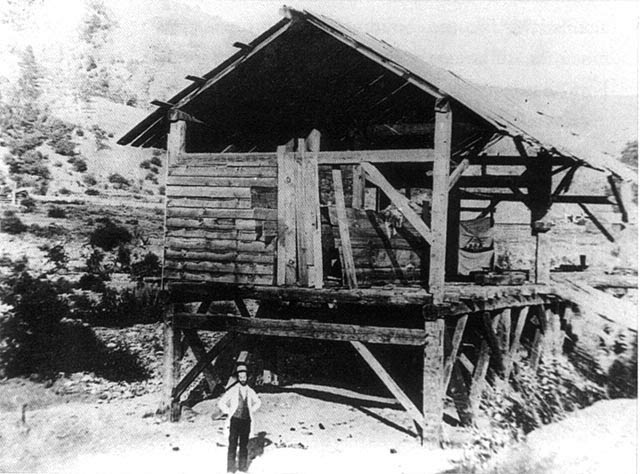 Marshall and Sutter tried their best to keep the discovery of gold quiet until the construction of Sutter’s mill was completed; the news leaked out, and the stampede began. Some 300,000-people came to California from the rest of the United States and abroad. Sutter fled California in 1870, after losing portions of his land title in a court decision. To avoid losing everything, Sutter deeded his remaining land to his son, John Augustus Sutter, Jr.
After a brief stay in the Islands, in 1839, John Augustus Sutter, a Swiss seeking his fortune in America, brought a small group of native Hawaiians with him to California. At the time of Sutter’s arrival in California, the territory had a population of only 1,000 Europeans, in contrast with 30,000 Native Americans. At the time, it was part of Mexico and the governor, Juan Bautista Alvarado, granted him permission to settle. In order to qualify for a land grant, Sutter became a Mexican citizen in 1840; the following year, he received title to about 49,000-acres and named his settlement New Helvetia, or “New Switzerland.” He called his compound Sutter’s Fort. In his memoirs, Sutter recalled the Hawaiians, using a name then-common to describe Hawaiian workers, “I could not have settled the country without the aid of these Kanakas.” They built the first settlers’ homes in Sacramento – hale pili (grass shacks) made with California willow and bamboo. Sutter later ordered that a sawmill be built in the Coloma Valley on the South Fork of the American River, about 50-miles from the fort. In the process of deepening the millrace (the channel of water where the flow of current causes the mill wheel to turn,) James Marshall made an important discovery that changed things, a lot. The first large group of Americans to arrive were several thousand Oregonians who came down the Siskiyou Trail. News reached Hawaiʻi on June 24 on a boat that had departed San Francisco on May 24. A large proportion of the Americans and Europeans residing in the Islands, along with many native Hawaiians, headed east; as many ships as were available were outfitted for the journey to the Pacific Coast. New Zealanders received the news in November 1848 when an American whaler put into port with several newspapers from Hawaiʻi, and Australians learned about the discoveries a month later. All of these groups predated Americans arriving from the US East Coast, who had to wait until trading ships from Asia who had stopped in San Francisco or Hawaiʻi either rounded the tip of South America or reached the Isthmus of Panama and crossed it with the news. The California Gold Rush drawing Hawaiians to the continent was not its only effect on the Islands; the Hawaiian economy was affected in several ways – good and not-so-good. Prior to the Gold Rush, supporting the Pacific whaling and trading fleets and trade between the West Coast and Hawaiʻi was the scale of the Hawaiʻi participation. The scale of that significantly changed with the Gold Rush. Hawaiʻi was only three to five weeks away, and with the growing population drawn to the gold fields, in addition to provisioning ships, Hawaiʻi farmers were feeding the gold seekers on the continent. Likewise, the exodus to the continent created a critical labor shortage in Hawaiʻi, where a sizeable number of sugar plantation workers migrated to the California gold fields. As the California Gold Rush demonstrates, the success of the Island’s economy was largely tied to events that occurred outside the Islands, especially on the continent. The American Civil War’s influence on Hawaiʻi’s fledgling sugar industry is another example of that, starting in 1861. The Civil War virtually shut down Louisiana sugar production during the 1860s, enabling Hawai‘i to fill part of the void left by the absence of then-blockaded southern exports – at elevated prices. Hawaiian-grown sugar soon replaced much of this southern sugar through the duration of the conflict. By the end of the war, over thirty extremely prosperous plantations were in operation and expanded to new levels previously unheard of before the war’s commencement. The image shows the Sutter mill in 1852. In addition, I have added others similar images in a folder of like name in the Photos section on my Facebook and Google+ pages. We consistently hear of folks coming to Hawaiʻi, but often overlook that many were/are out-migrating from Hawaiʻi. And, the increased scale of migration between Hawaiʻi and California and other parts of the continent may have started with us to them, rather than the reverse. There is historical evidence suggesting that Hawaiians began moving to the US mainland as early as the late-1700s for economic survival. At the time of Sutter’s arrival in California, the territory had a population of only 1,000 Europeans, in contrast with 30,000 Native Americans. It was at that point a part of Mexico and the governor, Juan Bautista Alvarado, granted him permission to settle. In order to qualify for a land grant, Sutter became a Mexican citizen on August 29, 1840 after a year in the provincial settlement; the following year, on June 18, he received title to 48,827 acres and named his settlement New Helvetia, or “New Switzerland.” Sutter employed Native Americans of the Miwok and Maidu tribes, Kanakas and Europeans at his compound, which he called Sutter’s Fort. In his memoirs, Sutter recalled the Hawaiians, using a name then common to describe Hawaiian workers, “I could not have settled the country without the aid of these Kanakas.” They also built the first settlers’ homes in Sacramento – grass shacks, or hale pili, made with California willow and bamboo. The Hawaiians’ legacy can be seen today in the places named with Hawaiian words. They include Kanaka, Owyhee (an old Hawaiian name for Hawaii) and Kamai (named after the Hawaiian Kama Kamai): the Kanaka Glade in Mendocino County, California; Kanaka Creek in Sierra County, California; Kanaka Bars in Trinity County, California; Kanaka Flats in Jacksonville, Oregon; Kanaka Gulch, Oregon; Owyhee River in southeastern Oregon; and Kamai Point, British Columbia. 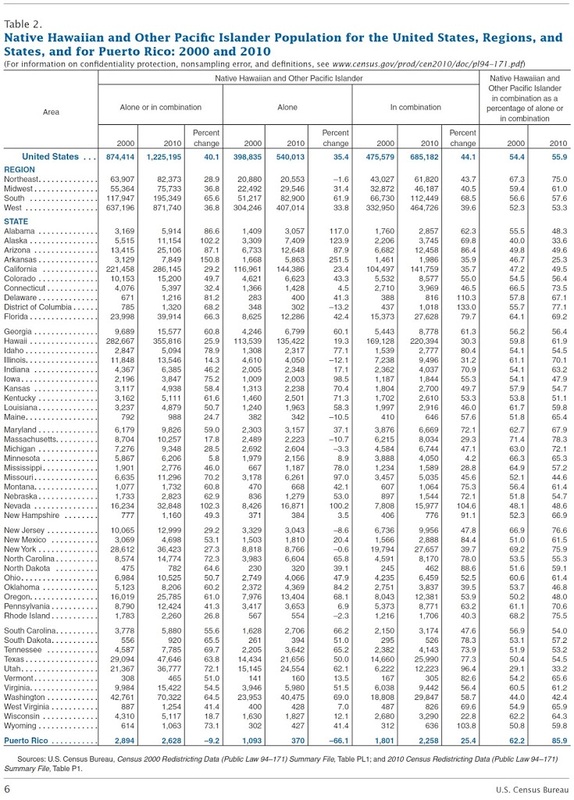 In the 2010 US Census, of all respondents who reported Native Hawaiian and Other Pacific Islander alone or in combination, 71-percent lived in the West, 16-percent lived in the South, 7-percent lived in the Northeast and 6-percent lived in the Midwest. The image shows a chart of the distribution of Native Hawaiians as reported in the 2010 Census. In addition, I have added additional images in a folder of like name in the Photos section on my Facebook and Google+ pages.